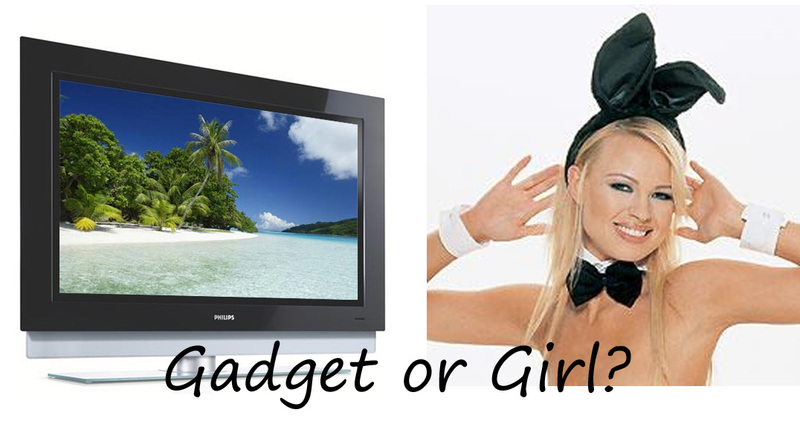 Somewhere, somehow, production editors decided that having a Geek-off with gadgets and girls would ensure ratings; think Beauty and the Geek meets Temptation Island. Will the lure of lovely shiny plasmas be more than that of silicon enhanced women? The show starts September 1st, and you really have to wonder how they’ll be able to stretch a series out of this thin premise. The male contestant gets to pick between three ladies, and once he’s selected his favorite pin up he can either whisk her off somewhere exclusive for a holiday, or settle for a mystery piece of tech. Yes, he could be turning down the delights of Natasha/ Candy/ Fleur for a measly iPod rather than a top end Alienware laptop. The thing is I reckon the geeks are going to vote firmly with their brains, and opt for the guaranteed prize, rather than ogling the unobtainable girls. But how can a show like this be possible? And what’s the female equivalent? Dobby from Peepshow picking out her favourite Abercrombie models and choosing between them and some GHD’s? Eww. Zara Rabinowicz writes for Shiny Shiny and Kiss and Makeup and knows she’ll be watching the show. Not that she’s curious she just wants ot be ironic.